'Did Nelson illegally release classified information? Or did he make this charge of Russian penetration up?' the governor asks in Tampa. Bill Nelson, left, and Rick Scott, right. Amid growing concerns over the security of Florida voter registration systems, Gov. 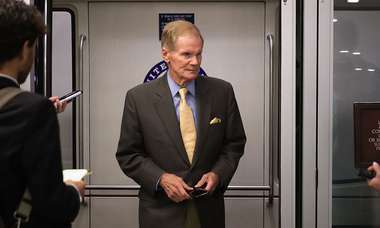 Rick Scott demanded Friday that Sen. Bill Nelson prove a vague claim that Russians have penetrated state safeguards. "Either Bill Nelson knows of crucial information the federal government is withholding from Florida elections officials or he is simply making things up," Scott said in prepared remarks at a campaign event in Tampa. "Did Nelson illegally release some classified information? Or did he make this charge of Russian penetration up?" A raw political brawl unfolded over the course of the day while top officials in Washington, including Republican Sen. Marco Rubio, weighed in, neither confirming nor contradicting Nelson's claim and insisting that state and county election officials should take threats seriously. "The federal government should stand ready to assist as needed in confronting actual or potential attacks from determined foreign adversaries," Rubio said in a Friday statement. "As I have done for months, I encourage all of our state and county elections officials to continue to work directly with federal agencies on these matters." The chairman of the Senate Intelligence Committee, Richard Burr, R-N.C., sent a response to Scott's top elections official, Ken Detzner, that did not directly address (nor refute) Nelson's claim but underscored the urgency of protecting against a "determined adversary". "While I understand your questions regarding Senator Nelson's recent public comments, I respectfully advise you to continue engaging with those federal agencies directly responsible for notifying you of and mitigating any potential intrusions," Burr wrote, referring to the Department of Homeland Security and the FBI. Detzner's reaction came Friday night. After remaining largely quiet amid the panic and criticism his comments provoked, Nelson late Friday accused Scott of exploiting the issue for political gain. "I and several of my Senate colleagues are trying to make sure Florida officials are aware of the ongoing Russian threat," he said. "It's unfortunate that some Florida officials would try to use this issue for personal, political gain." 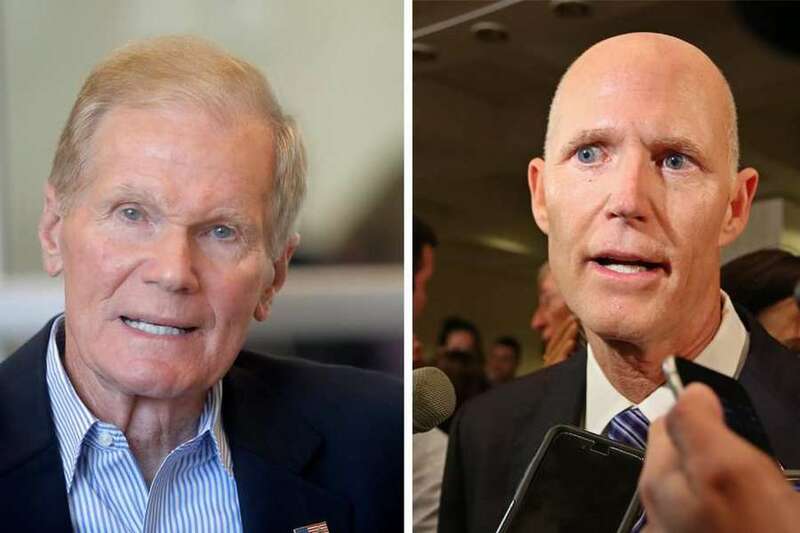 The rapidly escalating fight added a new dimension to the close battle between Scott and Nelson for the U.S. Senate, already one of the most contentious and expensive in the country. It came on a day when Scott avoided protesters on the Treasure Coast as he surveyed toxic algae blooms on the St. Lucie River. 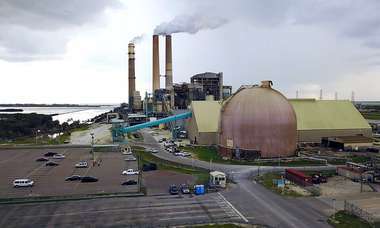 Ugly images of green waterways have dominated local TV newscasts and social media feeds for weeks, as Scott and Nelson blame each other for an environmental crisis that is also a major campaign issue. On Friday morning, Scott toured part of the state dealing with that catastrophe but left without talking with reporters. His staff initially cited a security concern but later said he had to make it to Tampa for a campaign event, where he lashed out at Nelson. The clash began Tuesday when Nelson claimed Russian election interference while at a veterans' event in Tallahassee. He told reporters he was aware of Russians being "in Florida's election records." Pressed for details, he said: "That's classified." He repeated the charge in Tampa on Wednesday and said of the Russians: "They have already penetrated certain counties in the state and they now have free rein to move about." The counties were not identified. The audio of Nelson's statements in Tampa can be heard here. State and local officials said they had no knowledge of what Nelson was talking about, and some officials, such as Seminole County Supervisor of Elections Mike Ertel, went on social media to reassure voters. There has been some renewed interest in election security. Below is a #VoteSeminole statement and update on where we stand. At both of his Florida appearances, Nelson referred to a July 2 letter signed by him and Rubio that urged Florida's 67 election supervisors to seek cyber-security advice from the DHS. The letter cited Russian attempts to infiltrate Florida voting systems in the 2016 election. Referring to a recent Senate Intelligence Committee report, the letter said: "It is possible that additional activity occurred and has not yet been uncovered." In a statement Thursday, Nelson said: "For months, (Rubio) and I have been warning Florida's elections officials about the threat they face and urging them to reach out to the federal government for help. I hope the appropriate federal officials find a way to immediately provide them all the information they can to protect our elections." The Republican National Committee on Friday turned up the pressure on Nelson, calling his claim of election interference "outlandish" and accusing him of hiding from reporters. Two county election supervisors — Paul Lux of Okaloosa and Craig Latimer of Hillsborough — attended a private meeting with Rubio at the Orlando airport on May 30 at which each man said Rubio seemed to make an indirect reference to more Russian meddling. When supervisors pressed Rubio to identify which counties had been targeted, Lux said Rubio told them: "'I don't think it's anybody in this room.'" Lux said Friday he also recalled Rubio expressing frustration that federal intelligence officials did not share more of what they knew with elections officials in Florida. Lux said Nelson's claim, without more corroboration, would undermine public faith in Florida's voting systems. "I don't see how it could do anything but do that," Lux said. "(Nelson) made a statement that he has not backed up or corroborated … And those of us who are down here at the root level who need the information are being denied that information." But Nelson insisted that he and Rubio, a member of the Senate Intelligence Committee, have been trying to sound alarms and make election officials seek federal help. Late Friday, the ranking Democrat on the intelligence committee, backed Nelson's warning. "Sens. Nelson and Rubio are right to warn their state's election officials about this very serious and ongoing threat to our democracy," said Sen. Mark Warner, D-Va. "This is not about politics. I urge officials at all levels of government to heed the warning and work with DHS and the FBI to address the threat." Times staff writer Kirby Wilson contributed to this report.